↑ Central Intelligence Agency (2012). 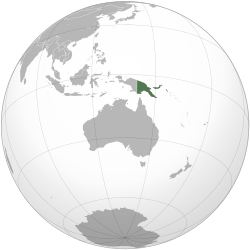 "Papua New Guinea". The World Factbook. Langley, Virginia: Central Intelligence Agency. Retrieved 2012-10-05. ↑ 5.0 5.1 5.2 5.3 "Papua New Guinea". International Monetary Fund. Retrieved 2012-04-20.